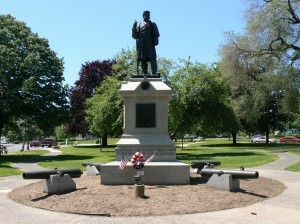 We start this week’s look at the impressive war monuments in Middletown at the city’s South Green, where local residents lost in the Civil War are honored with the 1874 Soldiers’ Monument. 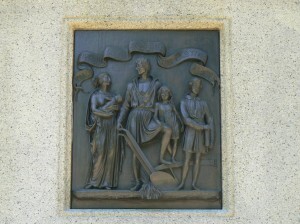 A small round plaque set just below the soldier’s feet bears the additional inscription “Honor to the brave” inside an ornamental wreath. 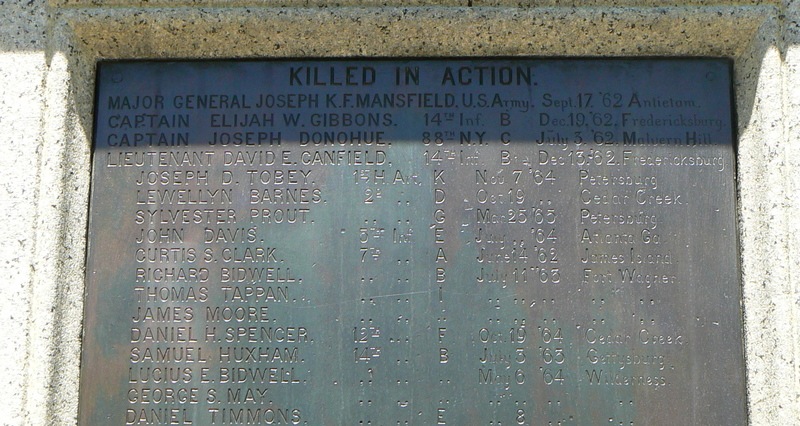 The northwest, southwest and southeast sides of the monument bear large plaques listing the name, regimental affiliation, and date and place of death of local residents who were killed in action, died of wounds, in prison or after the war. 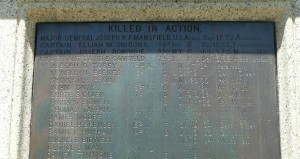 The first name listed on the southeast face is Maj. Gen. Joseph Mansfield, a Middletown native who was killed in the battle of Antietam. His grave, and a GAR monument near it, will be featured in Friday’s post. 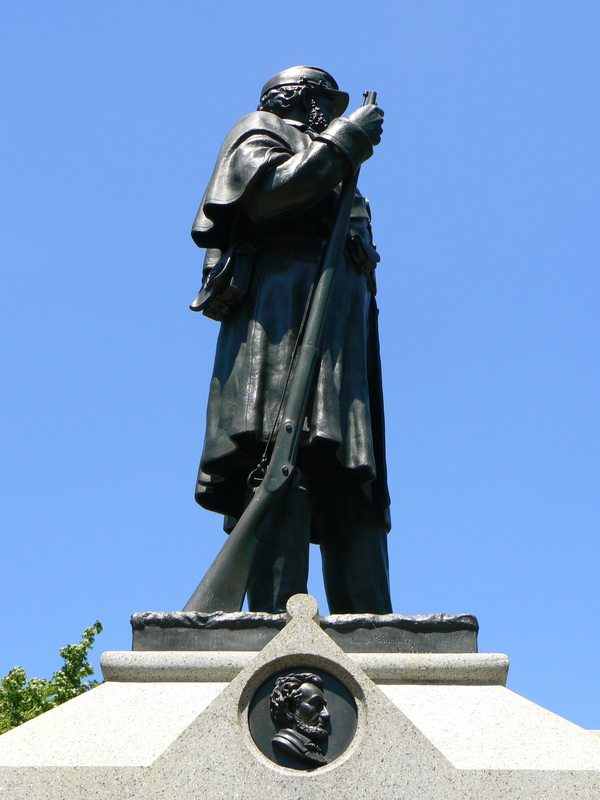 The infantry statue atop the monument was cast in Chicopee, Mass., and bears the name of sculptor M.H. 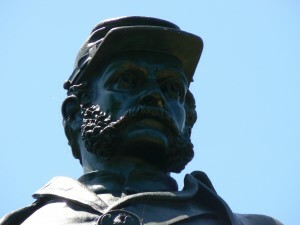 Mossman on the northwest base of the statue. 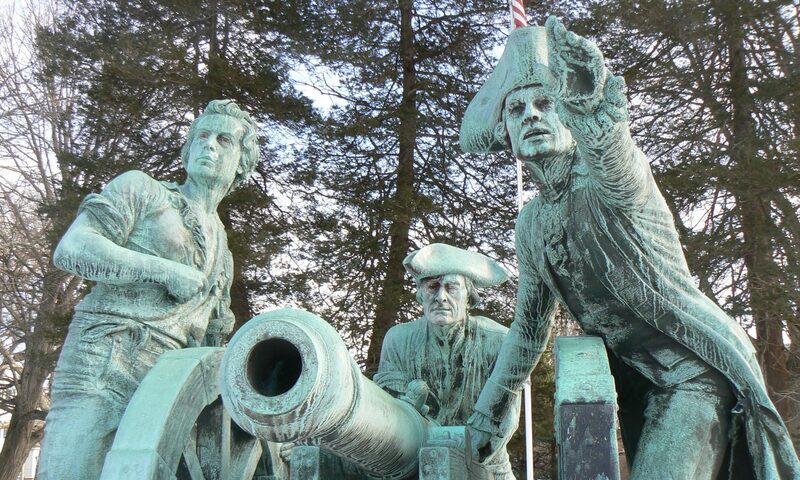 The base of the Soldier’s Monument is surrounded by four Confederate cannons. 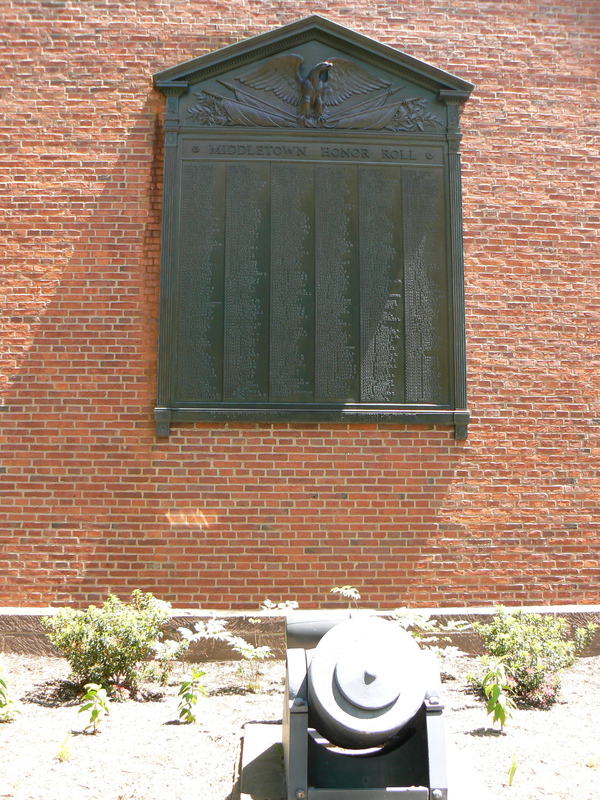 Across Main Street, two large plaques honor Middletown residents who served in World War I. 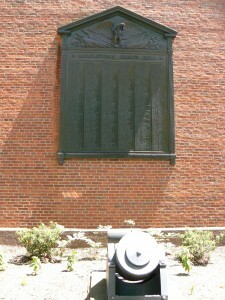 The plaques were attached to the outside walls of an armory building that was later converted into an inn. Previous PostPrevious Civil War Monument, Pittsfield, Mass.